iLauncher 1.2 is now available on the iTunes App Store! iLauncher v.1.2 is the hottest new application for your iPod Touch / iPhone! COMPLETE REMOTE CONTROL of your USB Missile Launcher from anywhere on your WiFi network! Let the epic battles begin! 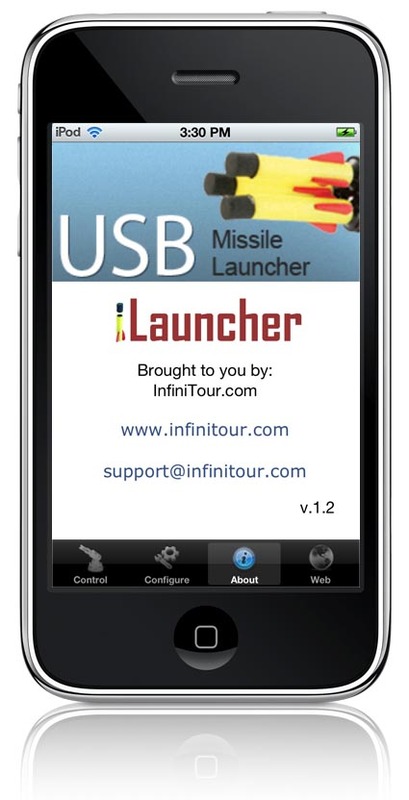 ** NOTE: This App requires a compatible USB missile launcher - such as the one pictured in the iLauncher logo. 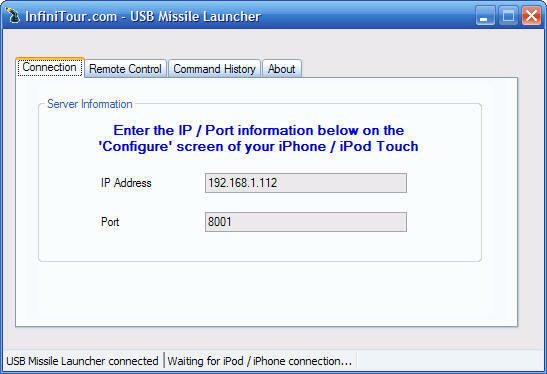 You can test if your USB missile launcher is compatible by downloading the FREE desktop remote control software below. 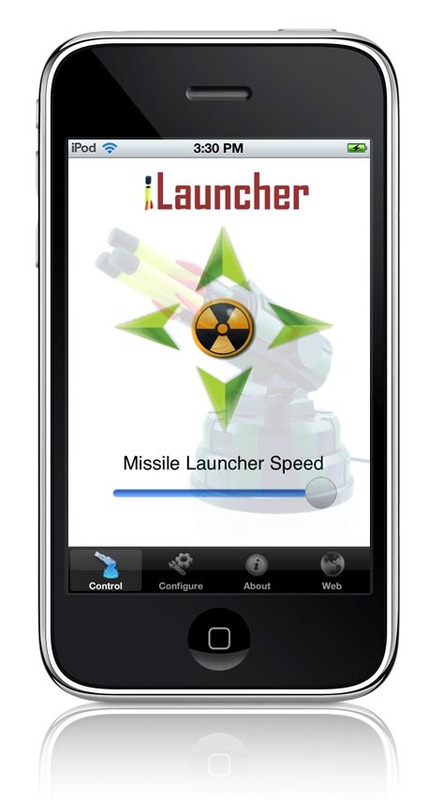 Ultra-precise remote speed control of your missile launcher and tilt your iPhone / iPod to control all the action! Download the 'iLauncher Desktop' v.1.2 application for your Windows PC HERE and get in on all the REMOTE CONTROL action! What are you waiting for?! Time to get in on the action and start having some fun today in your office or at home - or anywhere! Why iLauncher is the best! The one and only robotic remote control missile launcher for the iPhone! We all deserve to have a little fun now and then - here's your chance! Plant your USB Missile Launcher strategically on top of your cubicle, step back, and let the cube wars begin!